Freight Mergers are able to effectively coordinate and realise their clients’ growth strategies. Working with you we are able to outline an acquisition overview, timescales, search criteria and deal completion process. We’re here to help, our experts are on hand to provide structured exit strategy management and acquisition target sourcing with the utmost attention to detail. Get your free business valuation. • Respond to teaser document. • Exchange information including I.M. (information memorandum) and accounts and submit any questions to seller. • Answer any seller questions and qualify funding/interest. • Arrange and attend an initial meeting. • Introduce senior management and key staff. • Formulate and submit a letter of intent / non-binding offer / heads of terms. • Review financials / pre-due diligence and detailed information requests. • Agreeing a valuation in principle; additional meetings if necessary. • Head of terms submitted. • Contract writing / solicitors; purchase agreement. • TUPE (Transfer of Undertakings (Protection of Employment) transfer to employment contracts and other operational tasks. • Completion and exchange of funds. Whilst working to a buy-side mandate we utilise our extensive knowledge of the market that we’ve gathered by working with numerous companies over the years, from SMEs to large, corporate firms, Freight Mergers are able to effectively coordinate and realise their clients’ growth strategies. This starts with a clear, mutual understanding of the nature of growth a company wishes to achieve and how they’d like to approach it. Whether it’s trade lanes, strategic locations, or niche market development, Freight Mergers provide an attentive, defined and tailored approach. 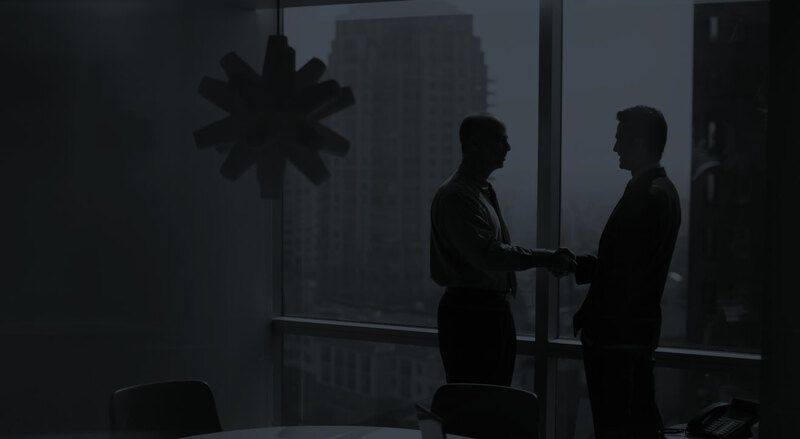 Identification of suitable acquisition targets, the contact and engagement with these targets, and an ongoing discussion and negotiation to ensure a successful acquisition is all part of the exemplary service we provide to our buy-side clients. Our confidential buyer is looking for a small, air freight forwarding business to acquire in the London Heathrow area. A well-respected privately owned freight forwarder is looking to grow its northern offices by acquiring a freight forwarder based in our around Manchester. 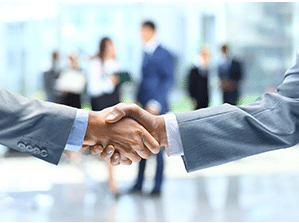 This acquirer has a track record of acquiring and integrating companies into their group with great success. The acquirer is currently import biased and as such any export business would be of benefit to both parties. A large and long-standing global freight forwarding and logistics company is aiming to build their UK presence through acquisition, particularly focusing on the growth of their air and ocean business. An acquisition with proven financial performance over recent years and strong management team would be ideal. UK and European road freight and domestic distribution business sought for acquisition by a European forwarder. Freight Mergers have been mandated by a company looking to continue the growth their European road freight and UK distribution business after having made previous, successful acquisitions. An internationally headquartered freight forwarder with offi ces across multiple continents is aiming to meet its growth targets for 2017 and 2018. Our client who is viewed as a long term investor is looking to invest into the freight forwarding industry. The group primarily operates in service orientated industries, with over £1bn invested into the European based companies. With a track record of supporting management teams particularly with buy and build projects this is a great opportunity for company owners eager to grow but are restricted by capital, risk or time. • EBITDA of £3m with an upper limit of circa £50,000,000. A multimodal, general freight forwarder based in the UK are looking to grow their operation through targeted acquisition of companies in either Manchester or the London Heathrow area. With consistent, healthy pro ts and funding available, alongside a strong management team, my client is a mid-sized forwarder with the stable foundation for an acquisition. With the acquirer having made six successful acquisitions in the last three years they are viewed as one of the UK’s fastest-growing total logistics providers. They are now aiming to continue this growth with fresh acquisitions in 2017 and 2018. The management are focussing on acquiring asset light air/ocean companies in addition to companies offering European/UK haulage and pallet services. Freight Mergers are instructed to identify companies based in the United States of America who will either be interested in being acquired or in establishing a joint venture. Our client is a specialist in arranging the movement of humanitarian aid and health-related freight; they offer services to a wide variety of end clients, including governments, charitable organisations and NGO’s. Regularly arranging the movement of freight to some of the most challenging locations around the world, including Afghanistan, Syria, Iraq and a number of African countries. Due to the United States being one the largest providers of overseas aid goods to the regions in which our client is a specialist they are keen to develop their US operation. In order for both parties to benefit from an acquisition or a joint venture our client requires a business with experience in arranging the movement of freight to dangerous or conflict areas. Freight Mergers have been mandated to identify and approach freight forwarders based across Scotland who are interested in being acquired by an expanding, England-based freight forwarder who currently do not have a presence in Scotland. Are you the owner of a freight forwarding company based in New York? Do you have a great partner there that would be considering a sale in the coming years? Freight Mergers am working on behalf of an expanding supply chain group who have aspirations to grow their US service offerings by acquiring a company ideally located in New York (near to JFK). The buyer is searching for a company that holds an OTI licence, IATA licence and is CTPAT compliant. In addition to the licenses a company that offers both international air and ocean services to a diverse client base will attract their attention. Freight Mergers are mandated by a Europe-based private equity group who are looking to make inroads into the Supply Chain sector in 2017. As a specialist long term investor into service orientated markets our client has the credentials to take your business to the next level. Through both financing and strategy support our client would be looking to commit considerable finance to enable the management team to grow the business via organic growth in addition to targeted acquisitions. Our client is also versed at supporting management buy outs. Whether you are looking for standard, exceptional or dangerous goods transport, this logistics group has over 80 years’ experience and a vehicle fleet of more than 114 trucks and 270 trailers (including flatbed and step-deck trailers, taut liners and low-loaders), they have the capability to offer all kinds of transport services for the oil and gas industry alongside a value-added service to the energy sector with warehousing, offshore container and basket rentals and manpower. With 13 bases across Europe in key locations they are aiming to strengthen their operation by diversifying into the forwarding sector.